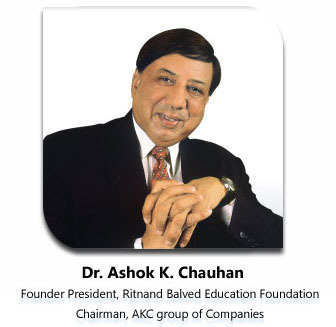 Established in 1973 in Germany by our Founder Chairman Dr. Ashok K Chauhan, the AKC Group of Companies started its activities in India in 1976. Since the last 40 years, AKC Group has spearheaded a revolution in many areas like plastics, pharmaceuticals, education, technology transfer, turnkey projects, construction, IT, publishing and finance. Kunstocom was established in 1979, and is now one of the leading companies in the world offering one-stop solution for designing, tool making andmoulding of plastic components. The company has in-house expertise to give shape to any idea, to make mouldsupto 8 tons and to mould components as small as 1 gram and as big as 5000 grams. Kunstocom is best recognized as a team of experts who care for quality, service and in-time delivery to renowned OEMs in Europe, America, India and the Asia Pacific region. The TS:16949, ISO:14001 certifications, stringent quality controls, continuous training at all levels has established a revered reputation for Kunstocom globally. The element of flexibility, coupled with fast responses, innovation, and quality consciousness has enabled the company to always keep its business partners and customers satisfied the world over. 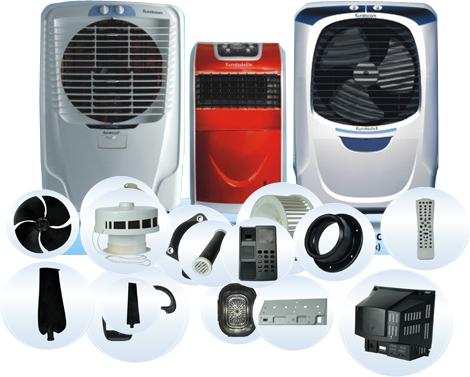 In 2011, Kunstocom launched its own range of high quality home appliances starting with Desert Coolers, Geysers and several other items coming soon in the pipeline. Bacfo Pharmaceuticals (India) Limited manufactures research-based Herbal (Ayurvedic) health care and personal care products. At BACFO, each product is manufactured in ultra-hygienic conditions by state-of-the-art machines, remains untouched by bare hands, undergoes stringent quality checks and has no side effects. 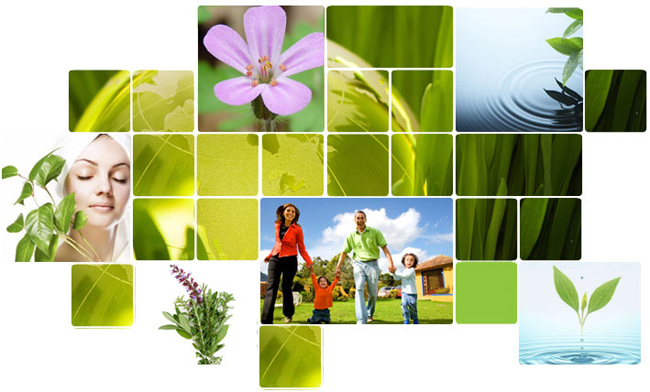 The efficacy & safety of BACFO’s extensively researched products have been established through clinical trials. BACFO herbal product range includes remedies for respiratory allergies, joints pain, diabetes, acidity & indigestion, liver disorder, immune booster, laxative, cholesterol control, stress reliever, piles & fistula, weight reduction, hair loss, menstrual and uterine disorders, hypertension, vigor & vitality, herbal iron supplement etc. BACFO is ISO 9001:2000,WHO-GMP,HACCP, and cGMPcertified. With a philosophy to nurture life with the gentle herbs, Kräuter specializes in manufacturing Natural Personal Care products for infants, children & adults. Kräuter manufactures both Natural products that are Paraben, Sulphate, Siliconeetc free as well as products that have herbs as active ingredients along with INCI approved preservatives and fragrances. Kräuter has its own herbal farms for stringent quality control, herbs of superior quality are used as active ingredients to get the best Natural Personal Care products. 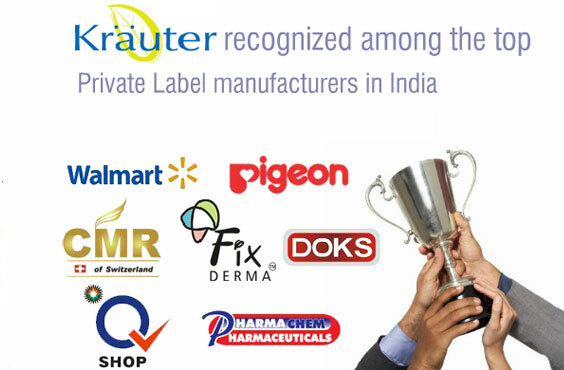 Kräuter manufactures products under its own brand as well as private label for multinationals. The products are based on traditional knowledge combined with modern research and quality manufacturing practices. The manufacturing facilities are ISO 9001:2008, WHO-GMP & HACCP certified by British Standards Institution, UK and GMP certified by the Indian Drug Authorities. © TCIL, All right reserved | Website By- AKC Data Systems India Pvt. Ltd.